Making Your Business Cycle Friendly; Are you ready for the quiet revolution? This guide has just been produced to help tourism businesses identify and cater for the different types of cycle visitors that are being increasingly attracted to our region. Download an electronic copy of ‘Making Your Business Cycle Friendly’ here and learn more about this initiative by reading our news blog. Over the last 10 years cycling has gone from being a specialist sport engaged in by the enthusiastic few, to being a pastime that has truly found its place in British society. The variety and style of bikes available has increased massively, facilities have improved vastly and now the UK caters for everyone from world champions to families wanting a gentle ride away from the traffic. The Tamar Valley has become a key site in the British Isles for Down Hill Mountain Biking in particular. 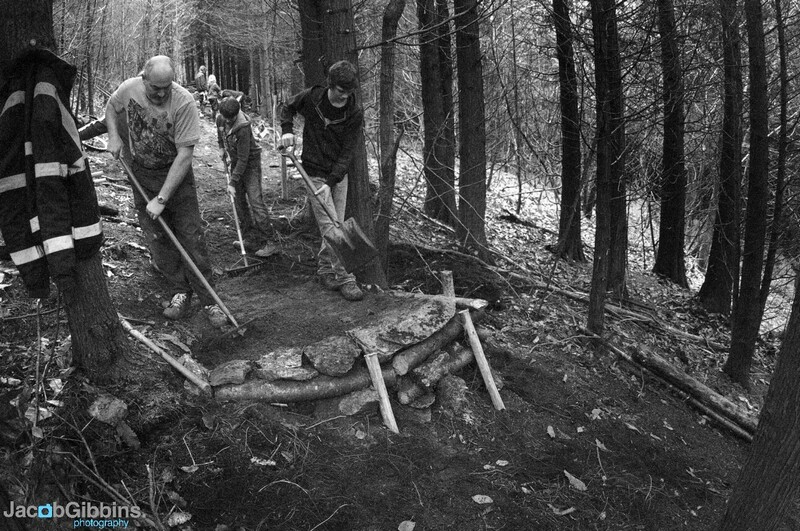 The local club, Woodland Riders has one of the largest memberships of any Down Hill club in the UK, and also hosts a highly motivated and highly skilled track building team. In 2009, Tamar Valley Area of Outstanding Natural Beauty became involved in developing a series of tracks at Maddacleave woods (commonly known as Gawton), and it was with the help of the Tamar Valley Mining Heritage Project that three tracks were commissioned. The hugely experienced track designer Rowan Sorrell, with Woodland Riders providing the bulk of the labour, built these. 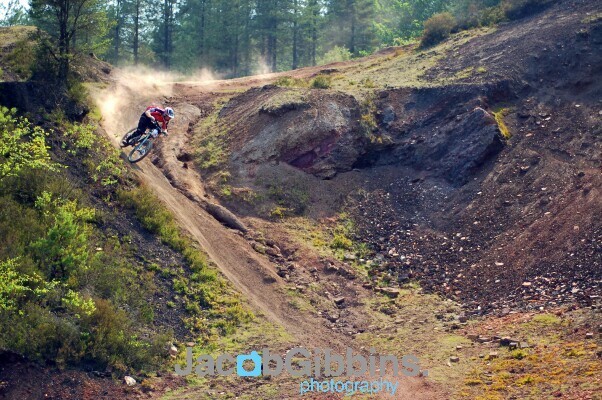 These tracks and especially the ‘Super Tavi’ track have become some of the most highly acclaimed Down Hill tracks in the UK. Dirt magazine now use ‘Super Tavi’ as a testing ground for international Professional Riders, pitting them against each other on the treacherous terrain and steep gradients. With funding from Tamar Valley AONB, Devon Renaissance, West Devon Borough Council, South Hams Council, DEFRA, The Rural Development Agency, Greater Dartmoor Local Enterprise Action Fund and the E.U. 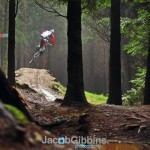 the Mountain Bike Development Project was conceived with the aim of maximizing the potential of Mountain Biking and Down Hill Mountain Biking at Maddacleave woods in particular. The overall aim of the project is to make Maddacleave woods a destination through building a Reception Centre and a forth track. While at the same time broadening the demographic of riders using the facility by providing taster days to younger riders and female mountain bikers. In addition the Mountain Bike Development Project aims to enable Woodland Riders to take full advantage of their position as custodians of these sites and the opportunities that present themselves as a result. With other projects in the area also looking to provide facilities for visiting cyclists the Mountain Bike Development Project is helping to make the Tamar Valley one of the key areas for cycling in the UK. For more information please visit our Downhill Mountain Bike page or contact our Mountain Bike Development Officer Chaz by emailing ccurry@tamarvalley.org.uk.